9781103838806 | Bibliolife, April 30, 2009, cover price $35.99 | About this edition: This is a pre-1923 historical reproduction that was curated for quality. 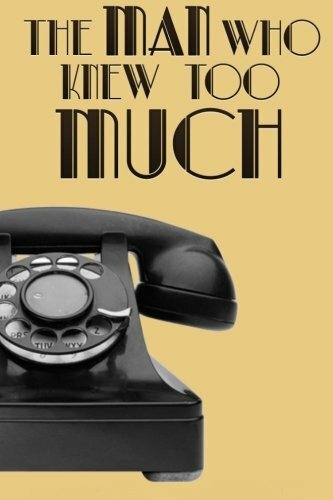 9781519272652 | Createspace Independent Pub, November 13, 2015, cover price $5.99 | also contains The Man Who Knew Too Much, The Man Who Knew Too Much | About this edition: G.
9781518800955 | Createspace Independent Pub, October 27, 2015, cover price $8.95 | also contains The Man Who Knew Too Much, The Man Who Knew Too Much | About this edition: A Collection of Short Detective StoriesThe Man Who Knew Too MuchBy Gilbert K.
9781512287745 | Createspace Independent Pub, May 19, 2015, cover price $6.99 | also contains The Man Who Knew Too Much, The Man Who Knew Too Much | About this edition: Harold March, the rising reviewer and social critic, was walking vigorously across a great tableland of moors and commons, the horizon of which was fringed with the far-off woods of the famous estate of Torwood Park. 9781511903608 | Createspace Independent Pub, April 15, 2016, cover price $8.49 | About this edition: Orthodoxy is one of G.
9781530975365 | Createspace Independent Pub, April 9, 2016, cover price $7.99 | About this edition: Excerpt from book: CHAPTER III THE YOUTH OF DICKENS There are popular phrases so picturesque that even when they are intentionally funny they are unintentionally poetical. 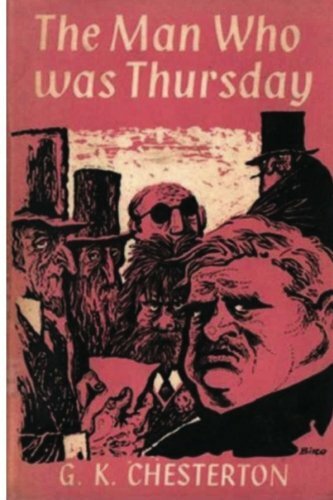 9781605209371 | Cosimo Inc, November 30, 2009, cover price $23.99 | also contains The Man Who Was Thursday, The Man Who Was Thursday | About this edition: British writer GILBERT KEITH CHESTERTON (1874-1936) expounded prolifically about his wide-ranging philosophies-he is impossible to categorize as "liberal" or "conservative," for instance-across a wide variety of avenues: he was a literary critic, historian, playwright, novelist, columnist, and poet. 9781530451531 | Createspace Independent Pub, March 10, 2016, cover price $7.50 | also contains The Man Who Was Thursday, The Man Who Was Thursday | About this edition: A WILD, MAD, HILARIOUS AND PROFOUNDLY MOVING TALE It is very difficult to classify THE MAN WHO WAS THURSDAY. 9781522935230 | Createspace Independent Pub, December 27, 2015, cover price $9.99 | also contains The Man Who Was Thursday, The Man Who Was Thursday | About this edition: G.
9781522793380 | Createspace Independent Pub, December 20, 2015, cover price $9.99 | also contains The Man Who Was Thursday, The Man Who Was Thursday | About this edition: Notice: This Book is published by Historical Books Limited (www. 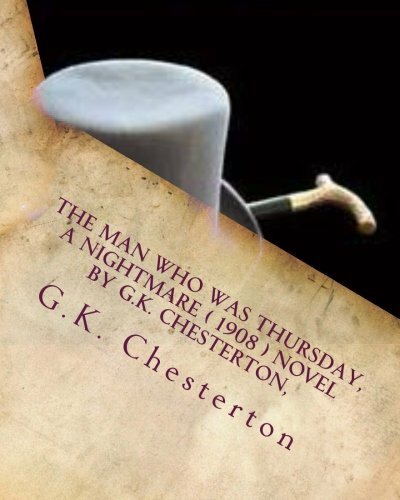 9781515262619 | Createspace Independent Pub, July 28, 2015, cover price $5.99 | About this edition: The Man Who Was Thursday: A Nightmare is a novel by G.
9781619706033 | Reissue edition (Hendrickson Pub, March 1, 2015), cover price $19.95 | About this edition: In this brilliant reflection on the poor friar of Assisi, G.
9781619700758 | Reprint edition (Hendrickson Pub, March 1, 2015), cover price $12.97 | About this edition: In this brilliant reflection on the poor friar of Assisi, G.
9781530608072 | Createspace Independent Pub, March 18, 2016, cover price $8.99 | also contains Saint Francis of Assisi | About this edition: Excerpt: FRANCIS THE BUILDER We have now reached the great break in the life of Francis of Assisi; the point at which something happened to him that must remain greatly dark to most of us, who are ordinary and selfish men whom God has not broken to make anew. 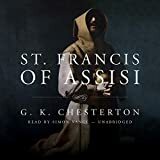 9781504665223, titled "St. Francis of Assisi" | Unabridged edition (Blackstone Audio Inc, January 5, 2016), cover price $24.95 | also contains Saint Francis of Assisi | About this edition: [Read by Simon Vance] Saint Francis of Assisi is one of the most influential men in the whole of human history. 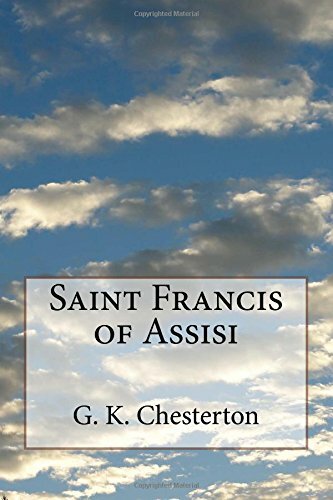 9781504665216, titled "St. Francis of Assisi" | Mp3 una edition (Blackstone Audio Inc, January 5, 2016), cover price $19.95 | also contains Saint Francis of Assisi | About this edition: [Read by Simon Vance] Saint Francis of Assisi is one of the most influential men in the whole of human history. 9781103834921 | Bibliolife, April 30, 2009, cover price $26.99 | also contains Eugenics And Other Evils, Eugenics and Other Evils, Eugenics and Other Evils | About this edition: This is a pre-1923 historical reproduction that was curated for quality. 9781522965794 | Createspace Independent Pub, December 30, 2015, cover price $9.99 | also contains Eugenics And Other Evils, Eugenics and Other Evils, Eugenics and Other Evils | About this edition: G.
9781519318855 | Createspace Independent Pub, November 15, 2015, cover price $5.49 | also contains Eugenics And Other Evils, Eugenics and Other Evils, Eugenics and Other Evils | About this edition: G.
9781518800191 | Createspace Independent Pub, October 27, 2015, cover price $8.95 | also contains Eugenics And Other Evils, Eugenics and Other Evils, Eugenics and Other Evils | About this edition: Eugenics and Other EvilsThe False TheoryBy G.
9781517455415 | Createspace Independent Pub, September 23, 2015, cover price $10.99 | About this edition: G.
9781530588589 | Createspace Independent Pub, March 17, 2016, cover price $9.99 | also contains The Superstition of Divorce | About this edition: Notice: This Book is published by Historical Books Limited (www. 9781505540567 | Createspace Independent Pub, December 31, 2014, cover price $5.99 | also contains The Superstition of Divorce | About this edition: With this classic text, G.
9781409931119 | Dodo Pr, January 31, 2009, cover price $12.99 | also contains The Superstition of Divorce | About this edition: Gilbert Keith Chesterton (1874-1936) was an influential English writer of the early 20th century. 9781602068643 | Cosimo Inc, November 30, 2007, cover price $9.99 | About this edition: British writer GILBERT KEITH CHESTERTON (1874-1936) expounded prolifically about his wide-ranging philosophies-he is impossible to categorize as "liberal" or "conservative," for instance-across a wide variety of avenues: he was an arts critic, historian, playwright, novelist, columnist, and poet. 9781110557981 | Bibliolife, June 30, 2009, cover price $30.99 | also contains Orthodoxy, Orthodoxy, Orthodoxy, Orthodoxy, Orthodoxy | About this edition: This is a pre-1923 historical reproduction that was curated for quality. 9781530441570 | Createspace Independent Pub, March 8, 2016, cover price $9.99 | also contains Orthodoxy, Orthodoxy, Orthodoxy, Orthodoxy, Orthodoxy, Orthodoxy | About this edition: Orthodoxy (1908) is a book by G.
9781530033638 | Createspace Independent Pub, February 13, 2016, cover price $7.75 | About this edition: Orthodoxy (1908) is a book by G.
9781530034130 | Createspace Independent Pub, February 13, 2016, cover price $7.00 | About this edition: Gilbert Keith Chesterton better known as G.
9781522860914 | Createspace Independent Pub, December 21, 2015, cover price $9.99 | About this edition: Excerpt from Chapter 1: âThe only possible excuse for this book is that it is an answer to a challenge. 9781515241393 | Createspace Independent Pub, July 27, 2015, cover price $6.99 | also contains Orthodoxy, Orthodoxy, Orthodoxy, Orthodoxy, Orthodoxy, Orthodoxy | About this edition: “Because children have abounding vitality, because they are in spirit fierce and free, therefore they want things repeated and unchanged. 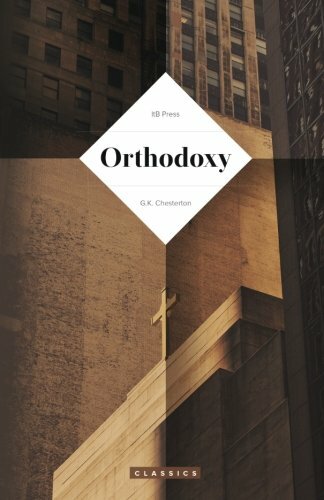 9781514850244 | Large print edition (Createspace Independent Pub, July 6, 2015), cover price $8.48 | also contains Orthodoxy, Orthodoxy, Orthodoxy, Orthodoxy, Orthodoxy, Orthodoxy | About this edition: Orthodoxy (1908) is a book by G.
9781511912846 | Createspace Independent Pub, April 27, 2015, cover price $6.94 | also contains Orthodoxy, Orthodoxy, Orthodoxy, Orthodoxy, Orthodoxy, Orthodoxy | About this edition: This book is meant to be a companion to "Heretics," and to put the positive side in addition to the negative. 9781103761692 | Bibliolife, April 30, 2009, cover price $32.99 | About this edition: This is a pre-1923 historical reproduction that was curated for quality. 9781103622757 | Bibliolife, March 30, 2009, cover price $32.99 | About this edition: This is a pre-1923 historical reproduction that was curated for quality. 9781604591637 | Wilder Pubns Ltd, January 30, 2008, cover price $19.99 | also contains Heretics | About this edition: In Heretics, Gilbert K.
9781435363823 | Indypublish.Com, October 12, 2007, cover price $62.99 | About this edition: This scarce antiquarian book is a facsimile reprint of the original. 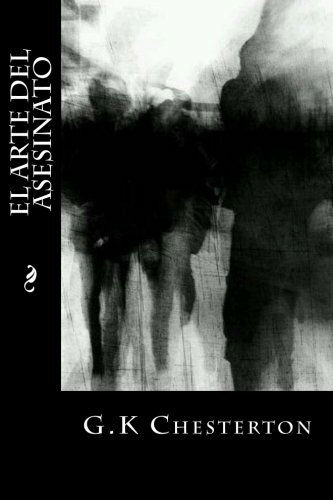 9781530039821 | Createspace Independent Pub, February 14, 2016, cover price $8.00 | About this edition: Gilbert Keith Chesterton, (29 May 1874 â 14 June 1936) better known as G.
9781522901365 | Createspace Independent Pub, December 23, 2015, cover price $5.99 | also contains Heretics | About this edition: G.
9781522861966 | Createspace Independent Pub, December 21, 2015, cover price $9.99 | About this edition: Excerpt from Introductory Remarks: âNothing more strangely indicates an enormous and silent evil of modern society than the extraordinary use which is made nowadays of the word "orthodox. 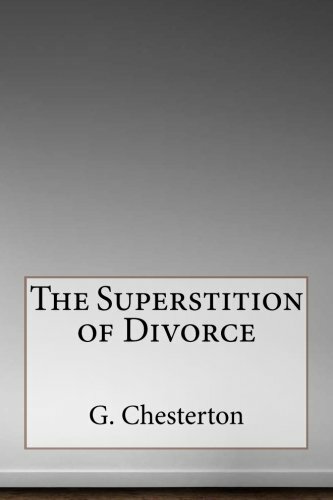 9781522800415 | Createspace Independent Pub, December 17, 2015, cover price $6.00 | also contains Heretics | About this edition: Though he was on the whole a fun loving and gregarious man, during adolescence Chesterton was troubled by thoughts of suicide. 9781517453275 | Createspace Independent Pub, September 23, 2015, cover price $10.99 | About this edition: Heretics is the companion volume to the previously published Orthodoxy in Hendrickson s Christian Classics series. 9781610451949 | Unabridged edition (Echristian, August 1, 2011), cover price $21.98 | also contains Heretics | About this edition: Nothing more strangely indicates an enormous and silent evil of modern society than the extraordinary use which is made nowadays of the word orthodox. 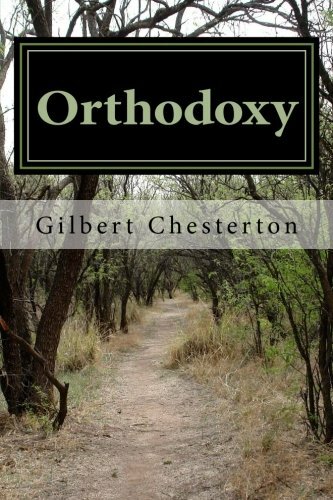 9781586172916, titled "Orthodoxy: Read by Dale Ahlquist" | Unabridged edition (Ignatius Pr, September 30, 2008), cover price $34.95 | About this edition: It's been 100 years since this dazzling work was first published. 9781523713073 | Createspace Independent Pub, January 27, 2016, cover price $6.99 | also contains George Bernard Shaw, George Bernard Shaw, George Bernard Shaw, George Bernard Shaw | About this edition: This collection of literature attempts to compile many of the classic works that have stood the test of time and offer them at a reduced, affordable price, in an attractive volume so that everyone can enjoy them. 9781519666147 | Createspace Independent Pub, December 3, 2015, cover price $9.00 | About this edition: Chesterton, as a political thinker, cast aspersions on both Progressivism and Conservatism, saying, "The whole modern world has divided itself into Conservatives and Progressives. 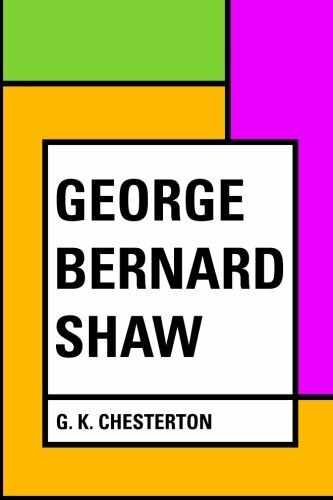 9781519318794 | Createspace Independent Pub, November 15, 2015, cover price $5.49 | also contains George Bernard Shaw, George Bernard Shaw, George Bernard Shaw, George Bernard Shaw | About this edition: G.
9781505512670 | Createspace Independent Pub, December 12, 2014, cover price $5.99 | also contains George Bernard Shaw, George Bernard Shaw, George Bernard Shaw, George Bernard Shaw | About this edition: "Most people either say that they agree with Bernard Shaw or that they do not understand him. 9781514874479 | Createspace Independent Pub, July 7, 2015, cover price $6.99 | also contains The Trees Of Pride | About this edition: Squire Vane was an elderly schoolboy of English education and Irish extraction. 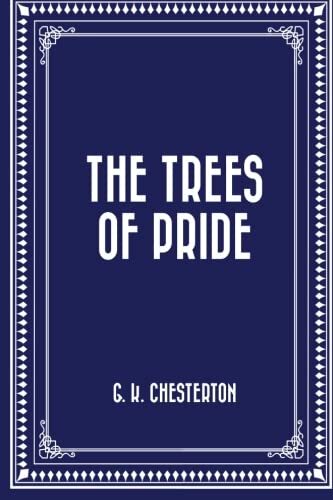 9781505541496 | Createspace Independent Pub, December 21, 2014, cover price $5.99 | also contains The Trees Of Pride | About this edition: This classic text from G.
9781490534466 | Createspace Independent Pub, June 25, 2013, cover price $6.99 | also contains The Trees Of Pride | About this edition: This scarce antiquarian book is a facsimile reprint of the original. 9781519665997 | Createspace Independent Pub, December 3, 2015, cover price $14.00 | About this edition: Chesterton routinely referred to himself as an "orthodox" Christian, and came to identify this position more and more with Catholicism, eventually converting to Catholicism from High Church Anglicanism. 9781512174489 | Createspace Independent Pub, May 12, 2015, cover price $6.99 | also contains What's Wrong With The World, What's Wrong With the World | About this edition: A book of modern social inquiry has a shape that is somewhat sharply defined. 9781511994644 | Createspace Independent Pub, May 2, 2015, cover price $5.99 | also contains What's Wrong With The World, What's Wrong With the World | About this edition: G.
9781508732914 | Createspace Independent Pub, March 4, 2015, cover price $6.99 | also contains What's Wrong With The World, What's Wrong With the World | About this edition: But social science is by no means always content with the normal human soul; it has all sorts of fancy souls for sale. 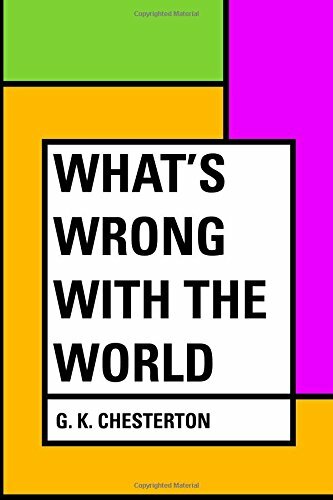 9781507862568 | Reprint edition (Createspace Independent Pub, February 6, 2015), cover price $6.75 | also contains What's Wrong With The World, What's Wrong With the World | About this edition: Chesterton's treatise on the world's problems. Product Description: 1903. A volume in the English Men of Letters series. 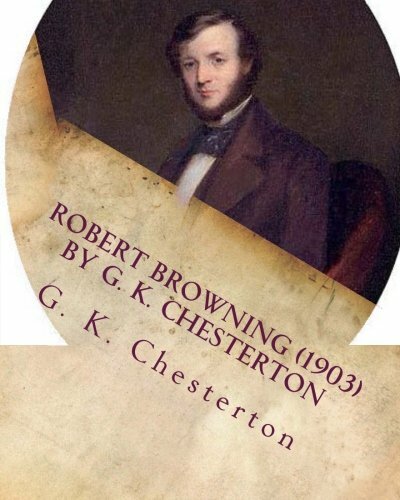 On the subject of Browning's work innumerable things have been said and remain to be said; of his life, considered as a narrative of facts, there is little or nothing to say. 9781110384716 | Bibliolife, May 30, 2009, cover price $28.99 | About this edition: This is a pre-1923 historical reproduction that was curated for quality. 9781523787630 | Createspace Independent Pub, February 2, 2016, cover price $5.99 | also contains Robert Browning, Robert Browning, Robert Browning, Robert Browning, Robert Browning | About this edition: G.
9781514874004 | Createspace Independent Pub, July 7, 2015, cover price $6.99 | also contains Robert Browning, Robert Browning, Robert Browning, Robert Browning, Robert Browning | About this edition: On the subject of Browning's work innumerable things have been said and remain to be said; of his life, considered as a narrative of facts, there is little or nothing to say. 9781508642572 | Createspace Independent Pub, February 26, 2015, cover price $6.99 | also contains Robert Browning, Robert Browning, Robert Browning, Robert Browning, Robert Browning | About this edition: This collection of literature attempts to compile many of the classic works that have stood the test of time and offer them at a reduced, affordable price, in an attractive volume so that everyone can enjoy them. 9781103905775 | Bibliolife, April 30, 2009, cover price $28.99 | About this edition: This is a pre-1923 historical reproduction that was curated for quality. 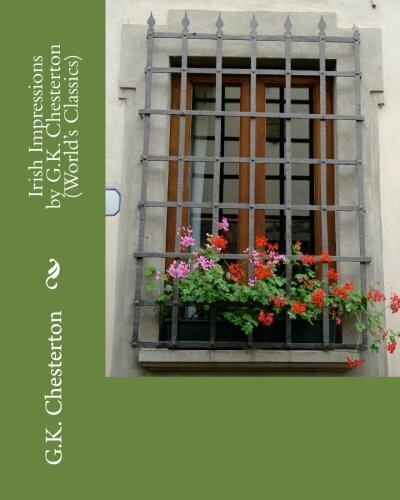 9781530037933 | Createspace Independent Pub, February 14, 2016, cover price $7.50 | also contains Irish Impressions | About this edition: Written at the defining moment when Ireland was heading toward complete national independence, Chesterton's study of the Irish question demonstrates that if both the English and the Irish had modified their attitudes slightly, subsequent Anglo-Irish relations could have been radically improved. 9781505529463 | Createspace Independent Pub, December 29, 2014, cover price $5.99 | also contains Irish Impressions | About this edition: Personal impressions of the author's visit to Ireland under the direction of the War Aims Committee. 9781103905690 | Bibliolife, April 30, 2009, cover price $17.99 | About this edition: This is a pre-1923 historical reproduction that was curated for quality. 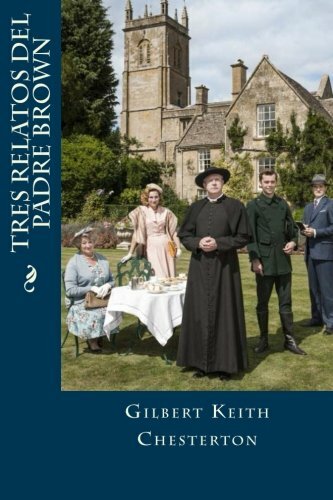 9781409931218 | Dodo Pr, October 30, 2008, cover price $12.99 | also contains Irish Impressions | About this edition: Gilbert Keith Chesterton (1874-1936) was an influential English writer of the early 20th century. 9780548822159 | Kessinger Pub Co, January 31, 2008, cover price $24.95 | About this edition: This scarce antiquarian book is a facsimile reprint of the original. 9781443732826 | Lightning Source Inc, November 30, 2008, cover price $39.45 | also contains Man Who Was Thursday: A Nightmare, The Man Who Was Thursday: A Nightmare | About this edition: This antiquarian book contains G.
9781523687138 | Createspace Independent Pub, January 25, 2016, cover price $11.95 | also contains Man Who Was Thursday: A Nightmare, The Man Who Was Thursday: A Nightmare | About this edition: The Man Who Was ThursdayA Nightmareby G.
9781522909712 | Createspace Independent Pub, December 24, 2015, cover price $5.99 | also contains Man Who Was Thursday: A Nightmare, The Man Who Was Thursday: A Nightmare | About this edition: G.
9781517517182 | Createspace Independent Pub, September 24, 2015, cover price $7.83 | About this edition: At first read, G.
9781530032785 | Createspace Independent Pub, February 13, 2016, cover price $7.50 | also contains Miscellany of Men | About this edition: Covering topics ranging from literature to philosophy, history to social criticism, this is a snapshot of thought on 20th-century Europe (and the world) by one of Europe's sharpest wits and ablest pens. 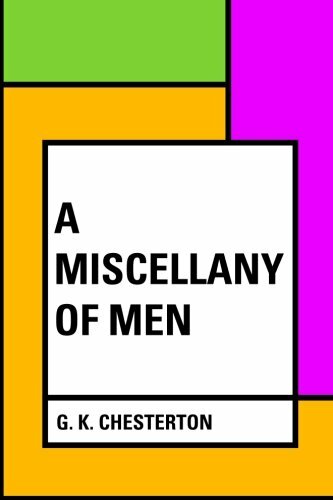 9781519725783 | Createspace Independent Pub, December 6, 2015, cover price $12.00 | also contains Miscellany of Men | About this edition: Chesterton, as a political thinker, cast aspersions on both Progressivism and Conservatism, saying, "The whole modern world has divided itself into Conservatives and Progressives. 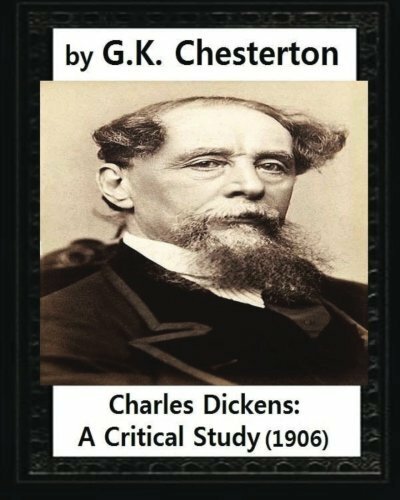 9781519686800 | Createspace Independent Pub, December 5, 2015, cover price $13.00 | also contains Miscellany of Men | About this edition: Chesterton, as a political thinker, cast aspersions on both Progressivism and Conservatism, saying, "The whole modern world has divided itself into Conservatives and Progressives. 9781519600387 | Createspace Independent Pub, December 2, 2015, cover price $7.99 | also contains Miscellany of Men | About this edition: Notice: This Book is published by Historical Books Limited (www. 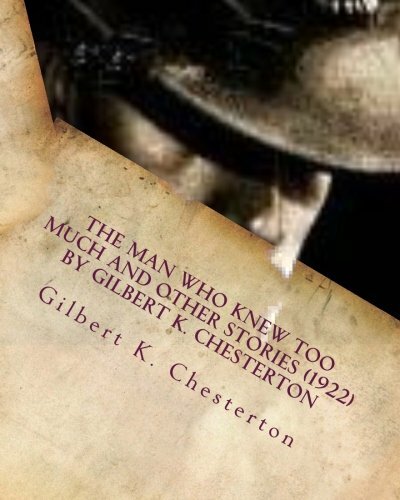 9781530032570 | Createspace Independent Pub, February 13, 2016, cover price $8.50 | About this edition: The Man Who Knew Too Much and other stories (1922) is a book of detective stories by English writer G.
9781523900701 | Createspace Independent Pub, February 6, 2016, cover price $6.00 | About this edition: Gilbert Keith Chesterton,(29 May 1874 â 14 June 1936) better known as G.
9781523900282, titled "La sabidurÃ­a del padre Brown/ Wisdom of Father Brown" | Createspace Independent Pub, February 6, 2016, cover price $7.00 | About this edition: Gilbert Keith Chesterton, (29 May 1874 â 14 June 1936) better known as G.
9781523900510 | Createspace Independent Pub, February 6, 2016, cover price $6.00 | About this edition: Gilbert Keith Chesterton, (29 May 1874 â 14 June 1936) better known as G.
9781523900459 | Createspace Independent Pub, February 6, 2016, cover price $6.00 | About this edition: Gilbert Keith Chesterton, (29 May 1874 â 14 June 1936) better known as G.
9781519318862 | Createspace Independent Pub, November 15, 2015, cover price $5.49 | also contains The Victorian Age in Literature | About this edition: G.
9781514229118 | Createspace Independent Pub, June 4, 2015, cover price $6.99 | also contains The Victorian Age in Literature | About this edition: A section of a long and splendid literature can be most conveniently treated in one of two ways. 9781514217429 | Createspace Independent Pub, June 4, 2015, cover price $5.99 | also contains The Victorian Age in Literature | About this edition: The Editors wish to explain that this book is not put forward as an authoritative history of Victorian literature. 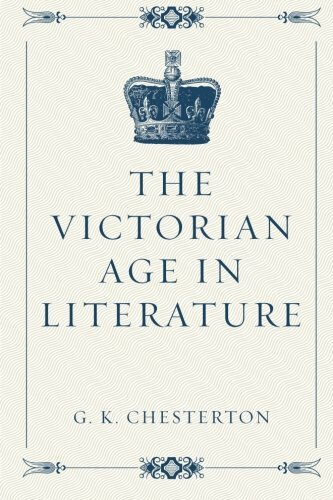 9781505455830 | Createspace Independent Pub, December 10, 2014, cover price $5.99 | also contains The Victorian Age in Literature | About this edition: This book is not put forward as an authoritative history of Victorian literature. 9781502550217 | Createspace Independent Pub, September 29, 2014, cover price $6.99 | also contains The Victorian Age in Literature | About this edition: This collection of literature attempts to compile many of the classic works that have stood the test of time and offer them at a reduced, affordable price, in an attractive volume so that everyone can enjoy them.